Fun Fierce Fabulous Beauty Over 50! : Swatches ~ Mac Viva Glam 1 Lipstick and Lipglass...Delicious! 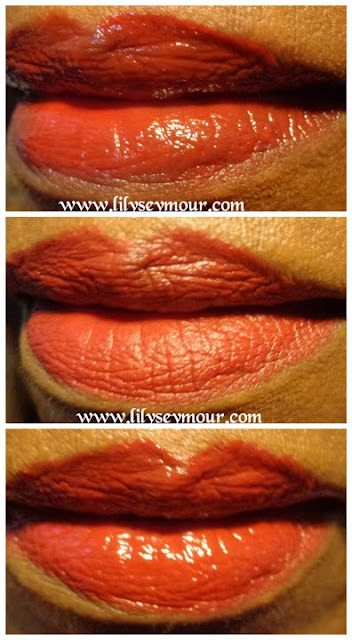 Swatches ~ Mac Viva Glam 1 Lipstick and Lipglass...Delicious! 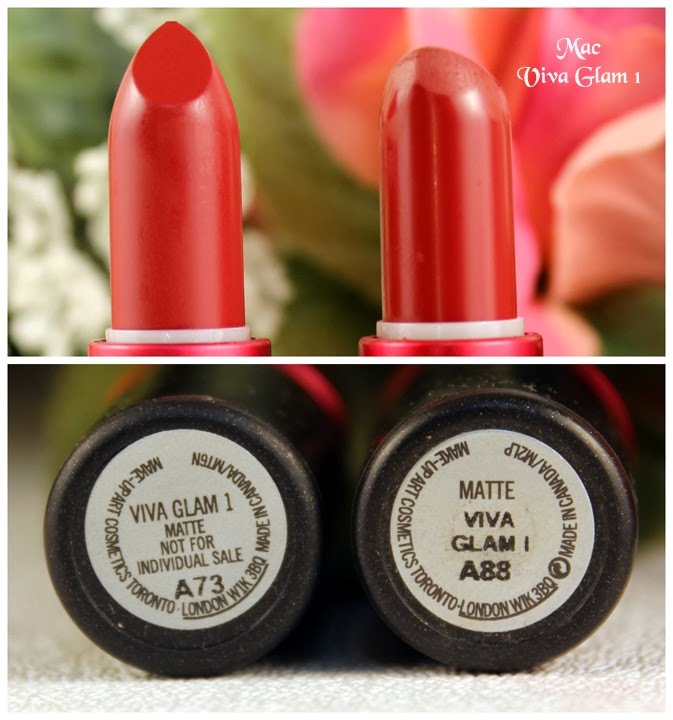 I bought this set because I wanted another Viva Glam 1 Lipstick. I have the Viva Glam 1 but mine is really old and the vanilla scent has dissipated (comparison photo below). This is a very beautiful deep red color. 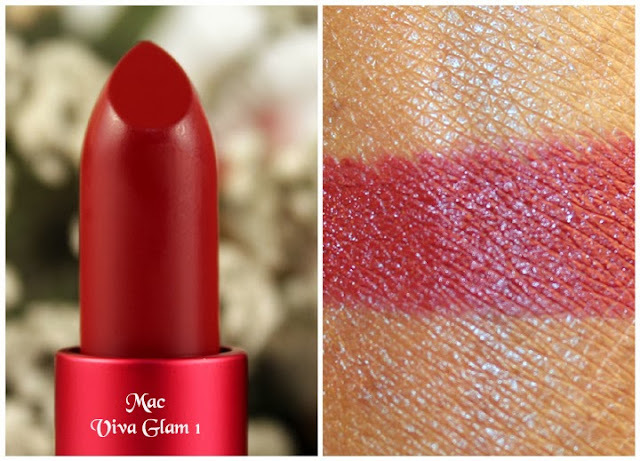 If you have Runaway Red or Rocker by Mac, you probably don't need to purchase this color unless you're a Viva Glam collector. The Lipglass is quite new, it's also deep burgundy red color and I don't have anything like it in my stash. I purchased this set from the Mac website, the set cost $35 and the products came in a red and black makeup case. This set is no longer available on the Mac website but the lipstick and lipglass are both still available for $15 each. 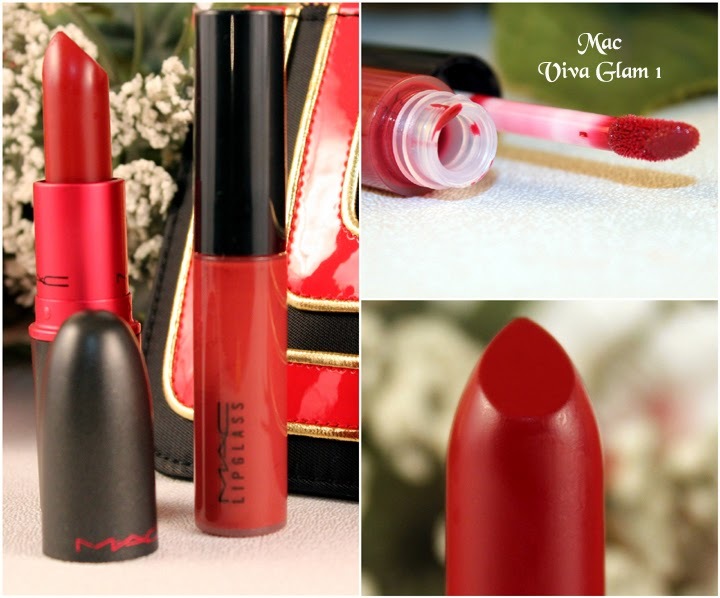 The Viva Glam 1 Lipstick reminds me of Runaway Red by Mac and even Rocker by Mac. 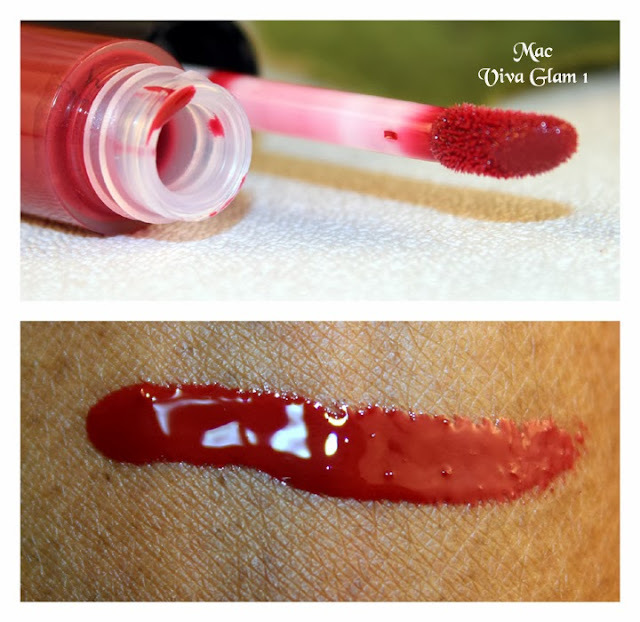 The Viva Glam 1 Lipglass is a very pretty deep red color when swatched. I wanted to post a photo of the very first Mac Viva Glam 1 that came out in the mid 90's. I've hardly ever used it and it's such a pretty color. As you can see in the photo below, the lot numbers are different and the newer one came with the "not for individual sale" on the label for some reason. Not sure why because I paid for these products and these were not sent from PR.